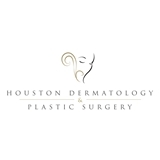 Houston Dermatology and Plastic Surgery (Katy) - Book Appointment Online! Houston Dermatology and Plastic Surgery is a family oriented practice where we provide dermatology services to patients of all ages, from newborns to people of mature age. Our expertise includes diagnosis and management of rashes, acne, psoriasis, hair loss, disorders or pigmentation and medical/surgical management of skin cancers and complex medical skin conditions in people of all ethnicities and different skin tones. We will work closely with your primary care physician and referring specialists to provide you a prompt and comprehensive assessment of your skin condition. Please, refer to our individual sections below to know more about our services. We accept all major medical insurance plans and our doctors and staff members are fluent in Spanish. Great doctor! Answered all my questions and even waited for me since I ran late from work!